Shouting three times the mantra Osho! means it’s 7 pm, the time for Evening meeting with the master. The method is called listening as a meditation. Today Satsavya, who came over from Zeeland for a visit introduced this meditation for the first time in our new group room. And then Osho appeared, reminding us that life is about being, and not to get lost in doing. 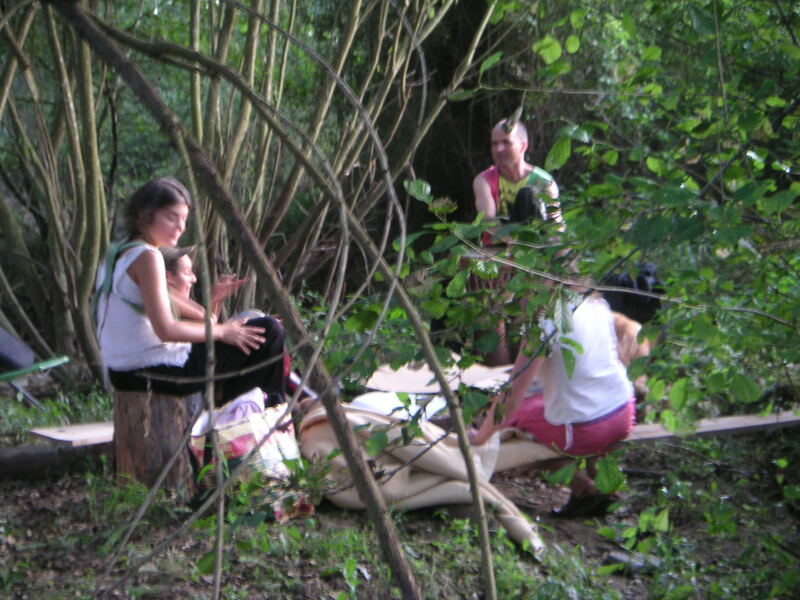 The sun reached its highest point yesterday afternoon, heralding summer solstice celebrations at our favorite riverside area where Ananda created a circle of benches around a campfire and hung a hammock in a small jungle of high trees. Children enjoyed swimming in the small lakes while their mothers bang the bongo, as you can see in this video on our Youtube channel. 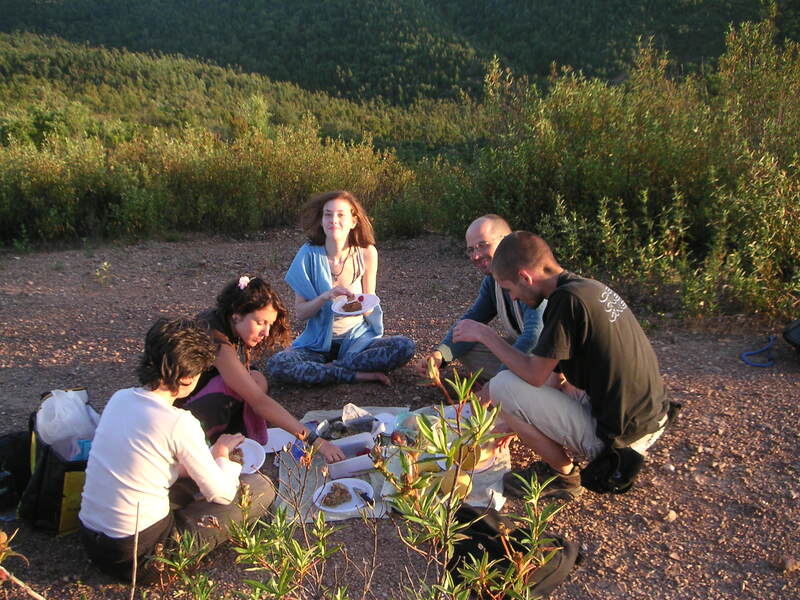 We had a picnic on the highest hilltop near our land (191m), then watched the sunset and started playing and chanting to evoke blessing on our community project in nature, while waiting in vain for the rising full moon. Finally Madara (in the middle in this picture), recently arrived from Latvia, resolved our worries. She discovered the faint image of a moon in total eclipse, already well above the eastern horizon. Eureka! 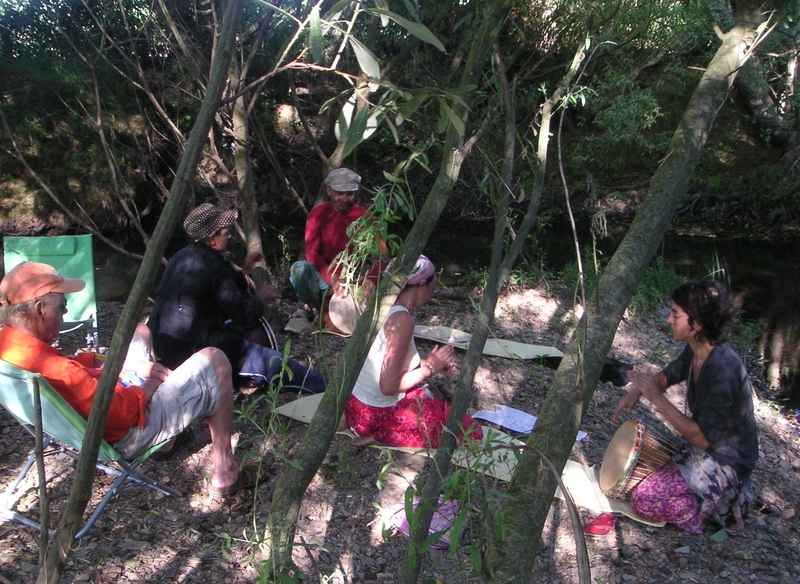 Today’s Djembe class (not in the new group room as I announced but at the river) was for advanced level students so some of us could relax in a deckchair and enjoy listening to the rhythm of the drumbeats and the sound of running water. We are planning a full moon celebration for tomorrow, Wednesday 15th June, 6:30 pm. Please call if you want to participate. 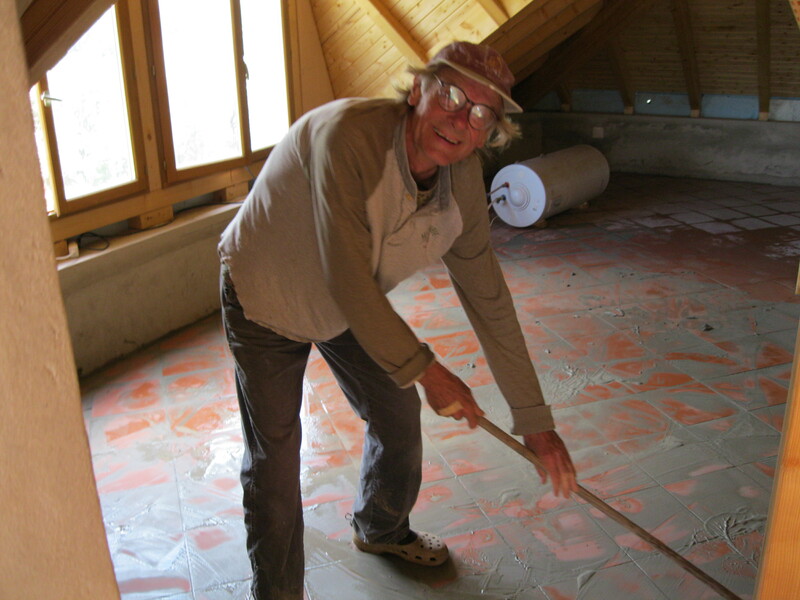 A preview of the new group room with me filling the joints between the terracotta floor tiles with cement mortar. 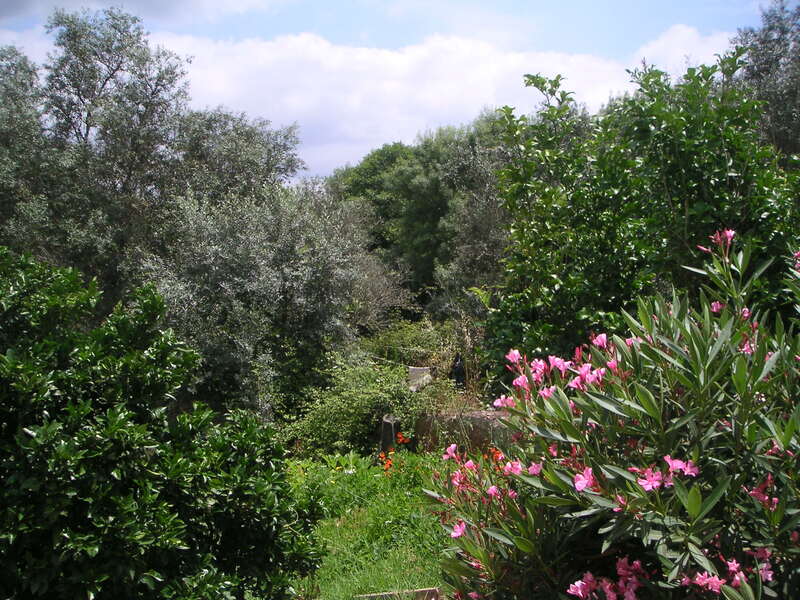 This weekend we will install light and video and sound system and it will be ready to use for meditations, musical events and other group activities. You are welcome for the inaugural event, Ananda’s weekly Djembe class on Tuesday, June 14th at 6 pm and if you can, take a Djembe with you. 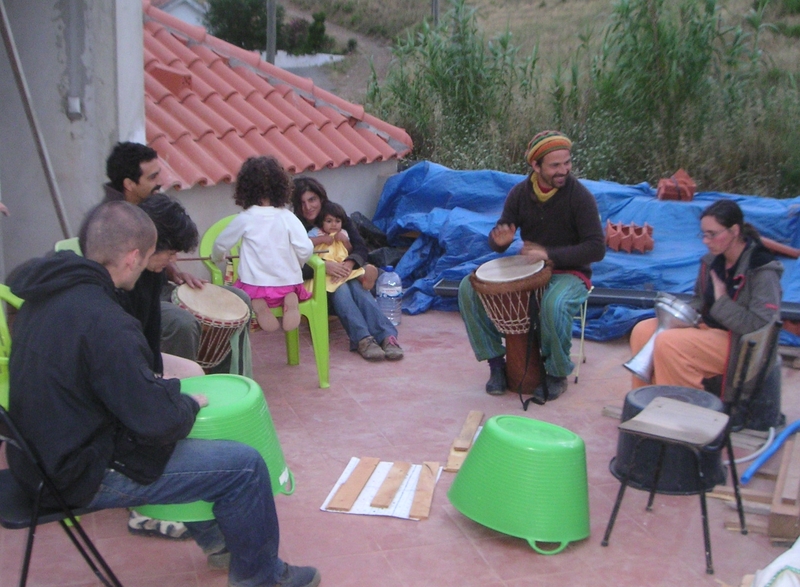 Yesterday, because of a shortage of Djembe’s some of us were using green garden buckets, less than perfect as membranophones but suitable for practicing the hand movements while mumbling Ta-da-ta-da-boom. We might as well be honest about it, Osho Garden is not perfectly organized yet but that does not stop us from enjoying Tuesday’s class with Ananda, our King of the Bongo (song by Manu Chao). Living in a community also means learning to let go and share. ‘Life knows only one law’, Osho says, ‘and that law is of expansion and sharing. Look at nature. Nature is such a spendthrift. When one flower is needed, a thousand and one flowers will bloom.’ Today I went into the garden to enjoy the flowers and share them with you by uploading photo’s in the new Pictures page.